We all should’ve seen it coming. Milne was, after all, a former employee and “mate” of Malcolm Turnbull at OzeMail. While we were blaming Guthrie for bastardizing the ABC, it was Milne [allegedly] pulling the strings. It was he who demanded unprecedented firings of journalists. It was he who “intervened” when Malc didn’t like the ABC’s reporting or Triple J’s decision to move their countdown off of Australia Day – a decision pestilently latched on to by nationalists as “hating Australia”. In doing so, he threatened to jeopardise the statutory independence of their journalism. He seems to have bypassed Guthrie, who was by virtue of her position editor-in-chief, and attempted to make editorial interventions himself. The reason the Turnbull Government made so many formal complaints to the ABC, rather than merely screeching at them like the Abbott Government did, was because they knew that they had a faceless man: a professional director with no actual experience since the early ’00s; who could force Ms Guthrie’s hand and that she would take all the blame. It was a genius plan for a scapegoat but it all fell apart when the mask was pulled off and Milne pulled the plug on Guthrie’s term. 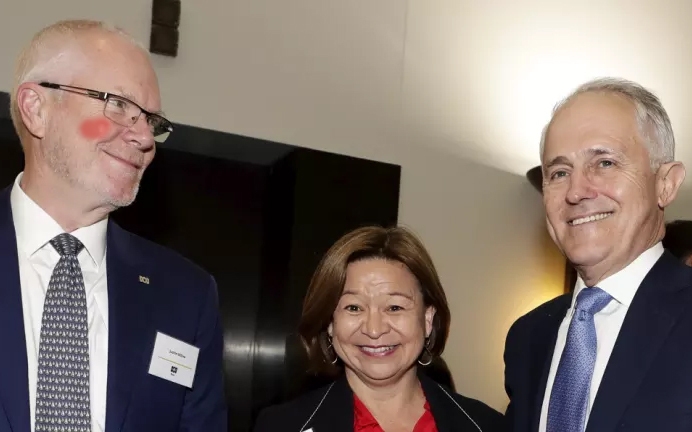 I think we all owe Michelle Guthrie at least a partial apology for pointing fingers at her so soon and for so long. Yesterday afternoon, I put in an FOI for the ABC’s board minutes since the beginning of the financial year. Though there remains the potential that it could be rejected on various grounds (potentially either sections 47C, D, E, F, and G), it would be interesting to see how the Board came to the decision to sack Guthrie. He could’ve done so much for the country’s love – like having a spine – but he couldn’t possibly do that. UPDATE [literally seconds after publication]: Apparently, ScoMo’s gonna get rid of him anyway.